I have many pieces of Emily’s work throughout my home and each one is a talking point when I have guests. 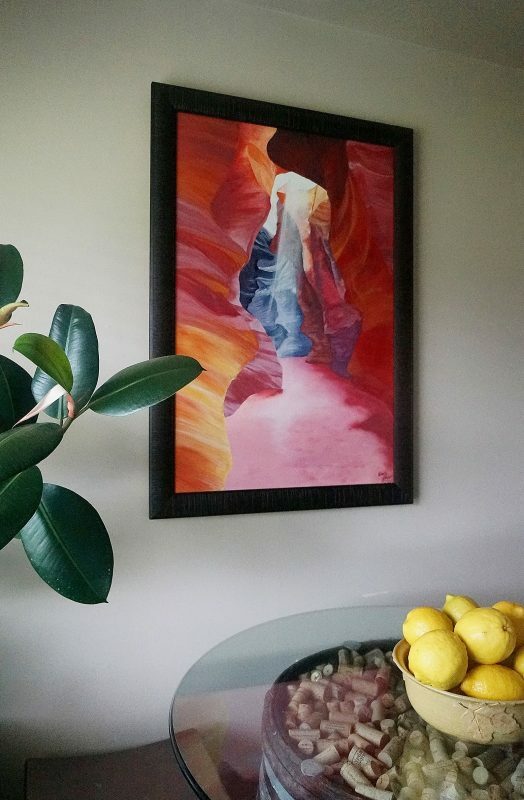 I have custom pieces by Emily including an original painting on canvas of Antelope Canyon that is the center piece of my breakfast nook, as well as a custom painted wine barrel (used as bistro table) that gets many comments and jealous glances. Whether you are looking for custom artwork to add to your home or are searching for unique and beautiful pillows to add to your space, Emily can provide you with a unique alternative for your home.